The Água Carioca Project is initiated and developed by Ooze Architects (Rotterdam, the Netherlands), in collaboration with a network of international and local partners, most notably Studio-X (GSAPP), Sitio Burle Marx and Rio Municipality. From 2012 to 2014, invited by the municipality of Rio de Janeiro and supported by the Creative Industries Fund NL, we carried out in-depth research about the water situation in several of the city’s informal settlements. We listened to the many voices of different actors in Rio de Janeiro - activists, municipality, researchers and community leaders - and discussed with them the potentialities of natural, small-scale and decentralised water management systems with rainwater collection and constructed wetlands to improve social and environmental conditions. These dialogues informed four design proposals (and one city vision) on scales ranging from one school building to a whole city district in four distinct favelas in the city: two in the flat lands and two on mountain slopes. In conjunction, the designs demonstrate the flexibility of the proposed system and therefore its potentiality for adaptive, long-term strategies. The results were documented in a film and exhibited at Studio-X in Rio de Janeiro in spring 2014. Our solution for water management looks at implementation and integration of these systems into various urban situations across Rio in coordination with local spatial, ecological, cultural and social conditions. These systems are designed to work independently from complex, large scale water management systems. 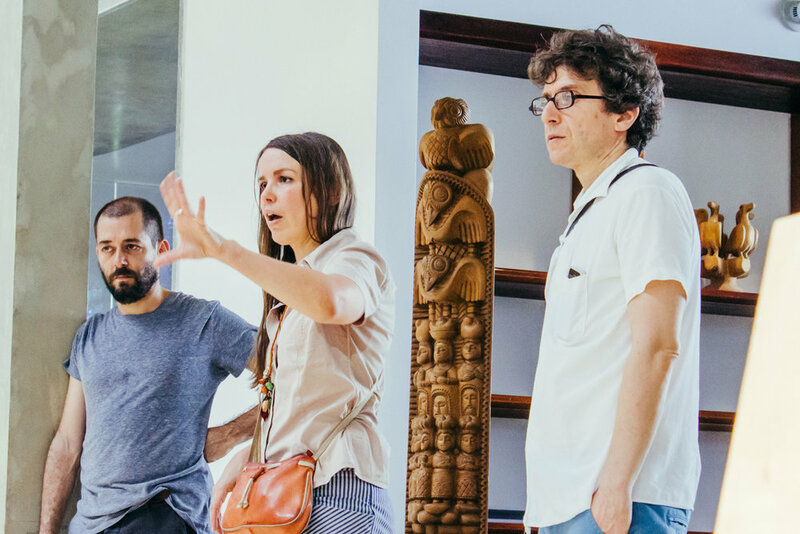 Since 2015, the project team have continued to develop the project, implementing a pilot in Sítio Burle Marx, holding two further exhibitions and exploring the potential for projects with neighbourhoods and public institutions. Realising the full scale pilot was the most important step so far. It introduced the technology of constructed wetlands ‘live’, in a way that was attractive for many educational programmes and cultural institutions, from small to large scale, including municipal and state government. It is able to reach a broad public as well as decision makers.